Chesley Sullenberger was born on January 23, 1951, in Denison, Texas. 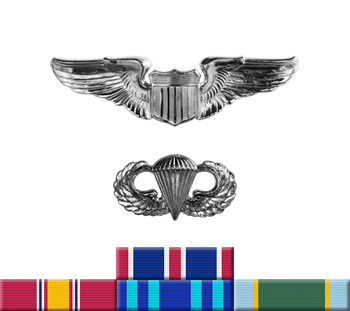 He entered the U.S. Air Force Academy in 1969 and graduated with a commission as a 2d Lt on June 6, 1973, followed by graduate studies at Purdue University, where he received a Masters Degree in Psychology in December 1973. Lt Sullenberger then completed Undergraduate Pilot Training and received his pilot wings at Columbus AFB, Mississippi, in February 1975. After completing F-4 Phantom II Combat Crew Training with the 58th Tactical Fighter Training Wing at Luke AFB, Arizona, he was assigned to the 493rd Tactical Fighter Squadron of the 48th Tactical Fighter Wing at RAF Lakenheath, England, from January 1976 to January 1977. His final assignment before leaving active duty was with the 428th Tactical Fighter Squadron of the 474th Tactical Fighter Wing at Nellis AFB, Nevada, where he served until leaving the Air Force on February 13, 1980. During his time at Nellis, Capt Sullenberger served as a Mission Commander in Red Flag Exercises. 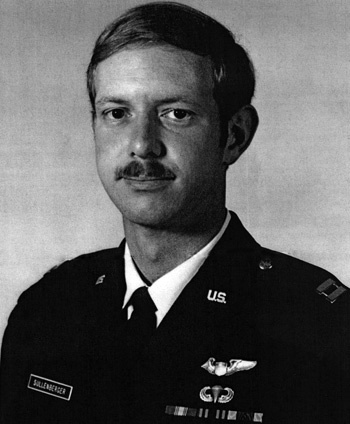 After leaving the Air Force, Chesley became a commercial airline pilot with Pacific Southwest Airlines, where he served from 1980 to 1988, when PSA was acquired by U.S. Airways in 1988. He has flown with US Airways since that time. On January 15, 2009, Sullenberger made history when he was forced to ditch his Airbus A320 airliner into the Hudson River after a flock of birds had disabled both engines shortly after taking off from LaGuardia Airport in New York City. He pulled off the emergency "landing" without any fatalities to his passengers or crew. Chesley Sullenberger and his wife Lorrie have two daughters, Kate and Kelly. He is also the founder of Safety Reliability Methods, Inc., a business which helps companies achieve the highest levels of safety, performance, and reliability in a variety of fields.